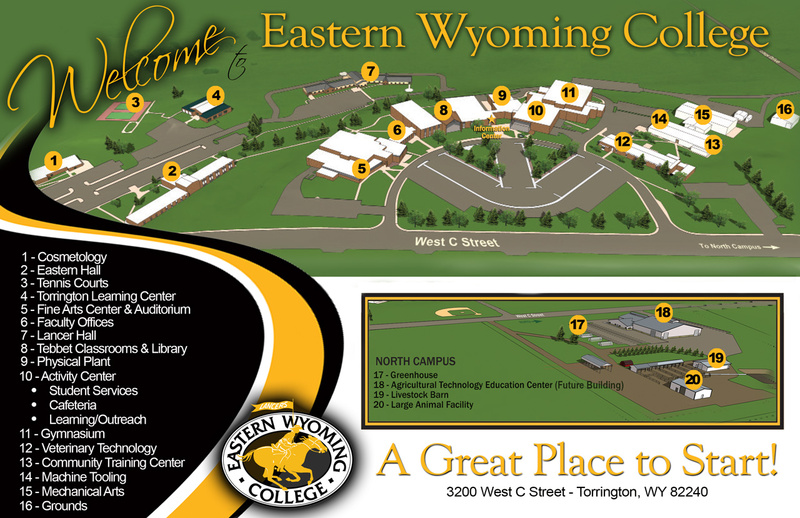 Decreasing enrollment, decreased tuition and fee revenues and a reduced allocation from the State are the leading factors that have contributed to Eastern Wyoming College’s current fiscal year $552,000 budget deficit and an annual shortfall of $912,000 for the next biennium which includes fiscal years 2016-2017 and 2017-2018. The current year deficit, $552,000, was met with both targeted and across-the-board budget cuts that did not involve displacing personnel. The anticipated annual shortfall of $912,000 was addressed with a budget efficiency plan which was developed by the President and his administrative team. The plan addressed EWC as a whole which included budgets utilized by the main campus in Torrington and the branch campus in Douglas. Budgetary adjustments and alignments will impact a small number of employee positions without eliminating academic programs or reducing direct services to students. The College currently operates with 252 full and part-time employees. Part of the budget efficiency plan included restructuring employee positions through workload distribution, and attrition. Reduced position appointments and contract lengths were also utilized. The net result was 4 employees notified that their positions would no longer be available after July 1, 2016. Another 6 employees had positions which were reduced, modified or reassigned. The bulk of the budget efficiency plan includes focused cuts to multiple departmental budgets across the college. A revenue-generating component is another important part of the plan and it includes some new or increased course and lab fees, student fees, and service and use charges.